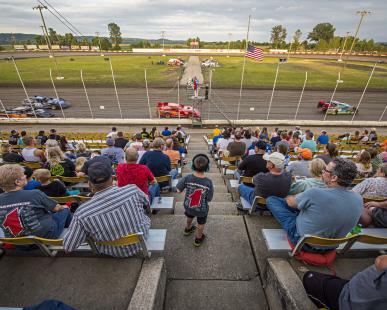 Lakeside Speedway’s half-mile asphalt oval track features USRA Modifieds, Grand Nationals, USRA B-Mods and Factory Stocks. Spanning more than 40 years, the speedway plays host to many national touring series. Racing every Friday night, April – October, visit the website for details.